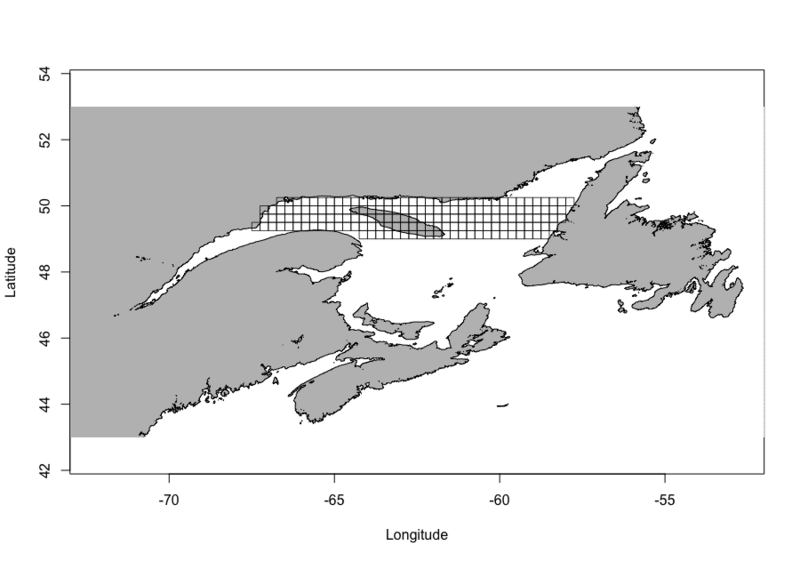 I'm really new to GIS in R, and below is my attempt at brute forcing it by generating rows of gridsquares and specifying the bounding box for each line individually. I used st_make_grid from the sf library to make the 5 rows. Each gridsquare is 0.25x0.25 degrees. I feel like there must be a more elegant solution to this... if anyone knows one. It's hard to define clearly what inside and outside means, because you probably don't want lakes or rivers - but at any rate creating the polygons from a raster mask give some control. 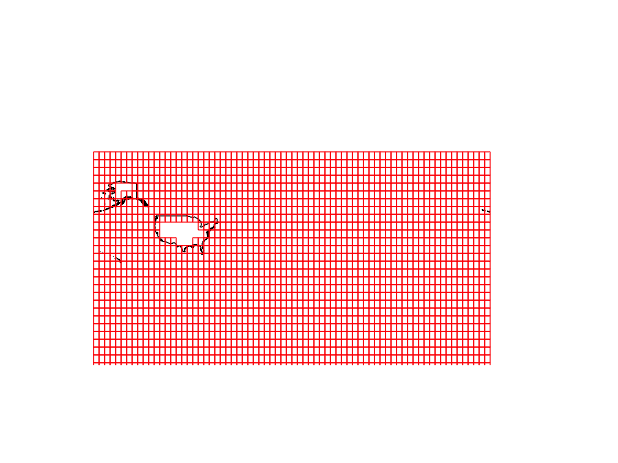 Here I use sf version of Canada/USA states and produce all the polygons, then filter. Not the answer you're looking for? Browse other questions tagged r vector-grid or ask your own question. 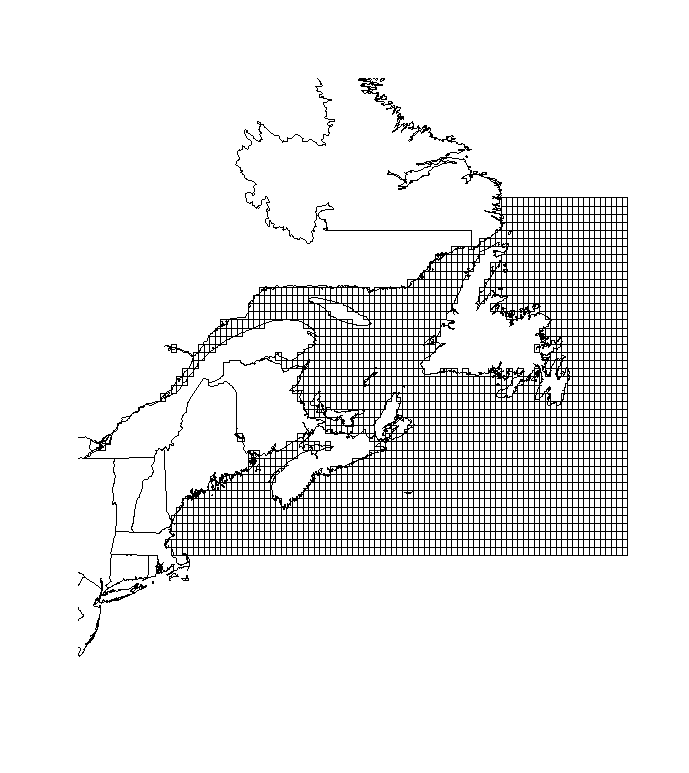 Creating square grid polygon shapefile with Python? Creating polygon grid of triangles with R?